While running a restaurant is about cooking delicious food and delivering an experience your clients love, you, as a restaurant owner need to think about the cleanliness of the restaurant. The kitchen of any place that handles food must have impeccable hygiene. 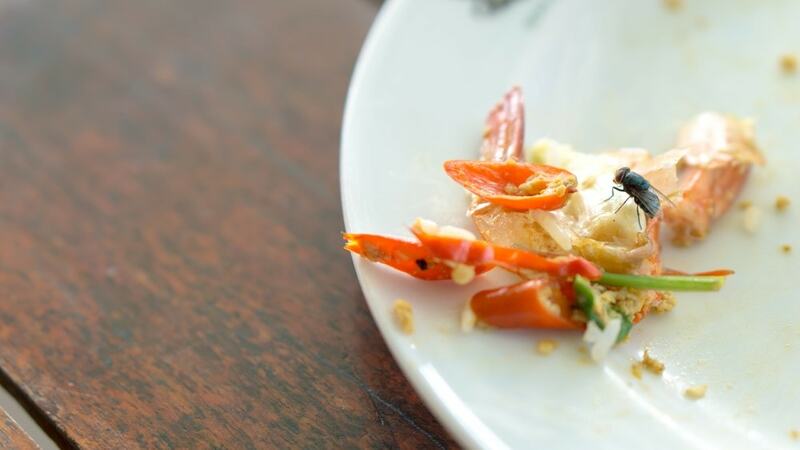 However, every restaurant, no matter how high-end it is, is threatened by a pest infestation. This is a real problem, and an often met one in Australia. With more than 50,000 restaurants, coffees and takeaway places all over Australia, infestations are an ongoing battle. But worry not! There are practices that can help you eradicate and prevent an infestation in your restaurant or café. How to inspect for pests in your restaurant? How to keep the pests out of your restaurant? Can you use insecticides inside a restaurant kitchen? How much does it cost to hire a professional company to exterminate the pests? While almost any pest can find its way into your commercial place, there are three that make restaurant owners shiver. Namely, all rodents, cockroaches and flies. The reason why you may get a cockroach infestation in your restaurant is that they are actively seeking shelter that has a food source near it. And guess what, your restaurant is the perfect place. That is, of course, if you allow it to be. Cockroaches can be a real problem if the infestation isn’t caught on time. It’s important to keep an eye on the problem and act fast when you notice cockroaches in your restaurant. Rodents are a threat as well. They can be a real hassle to handle, as they move quickly and have the nerve to show exactly when your place is full of clients. Flies are naturally, the most annoying pest that can find its way into your kitchen. The little flying devils can find their way inside in two ways. The first is if they enter from the outside, and the second one is from spoiled meat, left sitting around in your kitchen (which should never be the case). Rodents, cockroaches and flies (also other pests that you have your kitchen infested with) go there because of the free, abundant food. We understand that you, as a person that runs a restaurant, want to avoid dealing with this problem. All the lost time, money and the problems that come with it aren’t worth it. The best way to avoid a full-scale pest extermination process is by performing frequent and thorough inspections of your restaurant. Even if you don’t have visual confirmation of a pest infestation in your kitchen, you, and your employees should inspect the whole place every three or four months. Having inspections regularly scheduled can save your business a ton of money and time, let alone the reputation loss. There is nothing special about the inspection process. Some of the most common places where you can find pests are the cabinets, any ducts and other places in your restaurant that are dark, moist and hard to reach. By adopting some good practices you can keep the pests away. You can make your employees follow them by making it a mandatory process, and by training new employees. To make the process easier you can print some tips and place them in obvious places throughout the employee-only areas of the place. Every good restaurant has such good practices, and that is what helps them with keeping the place clean and pest-free. The process can include actions such as keeping the place clean during work-hours and regularly scheduled clean after closing hours. You can also encourage employees to follow the “clean as you go” method. A big advantage is to hire a cleaner that can help with keeping the place spotless at all times. Also, you can hire a monthly, or bi-weekly cleaning crew to clean the restaurant. Most restaurants can practice some pest control on their own, but this depends on where your business is, and the government regulations. In order to know which insecticides you can use, we suggest you call your local government for more information on the topic. They will be able to provide information about the type of products you are allowed to use and point you towards brands that you can acquire and legally use in the kitchen. Do use insecticides after work hours. Do pest control in such places after closing hours and clearly label them as such. Do use insecticides in the kitchen only after carefully putting away food, and placing it in another room. Do make your research as thorough as possible about this topic and then buy the right products. Don’t use insecticides while food is being handled. Don’t apply insecticides in places where employees or customers can get in contact. Don’t use insecticides in the kitchen when food is being cooked, served or is left open to contamination. The best and only true way to get rid of pests inside your commercial property is to hire a professional to do your pest control. A good pest control company should know which products they can use, and how to use them to remove the pest and keep the place healthy for food production. Whatever the pest you may be worried about, there is certainly a way to keep them away or get rid of them. Following some good practices would help tremendously with keeping pest problems away. Need help with getting rid of the pests? Find a professional to take care of your problem and get back to business.